The immense role played by workspace mockups in showcasing one’s artistic work in a quick and easier way is something that cannot be ignored. 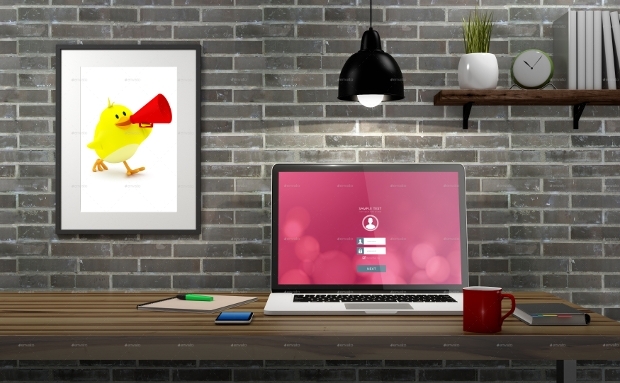 Workspace mockups enable designers to save a considerable amount of their much valued time and effort. Today, we feel indebted to share with you this collection of awesome workspace mockups, some of which feature elegant Apple Devices Mockup designs that will help you describe your work in the best way possible for client showcasing. 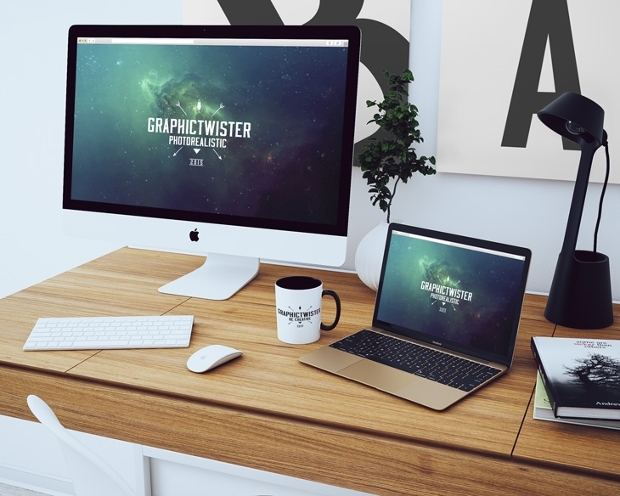 The minimalist look of this workspace mockup design makes it quite appealing. 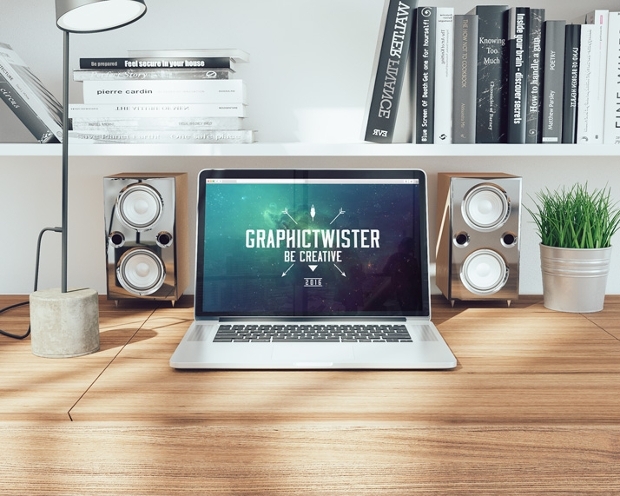 The neat attribute of this photorealistic workspace mockup makes it suitable for showcasing your design work in a professional manner. The file’s nicely organized layers and folders make a modification of the mockup super easy. 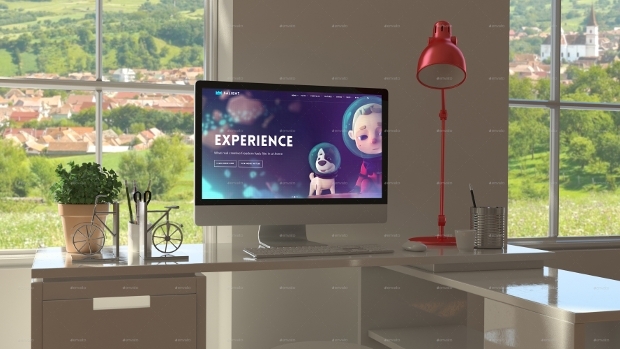 The photorealistic workspace mockup atmosphere featured here looks really nice. The superimposed image on the posters, stickers, and computer display all sums up the elegance of this PSD design. 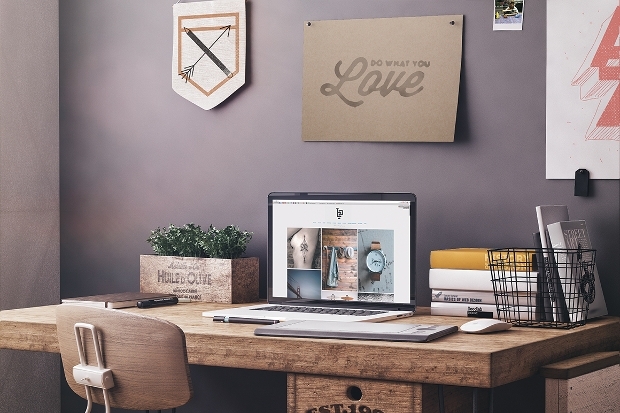 Modifying the display of this impressive workspace mockup is really super fast and easy. Want to present your mobile app, website or responsive website in a more persuasive manner? 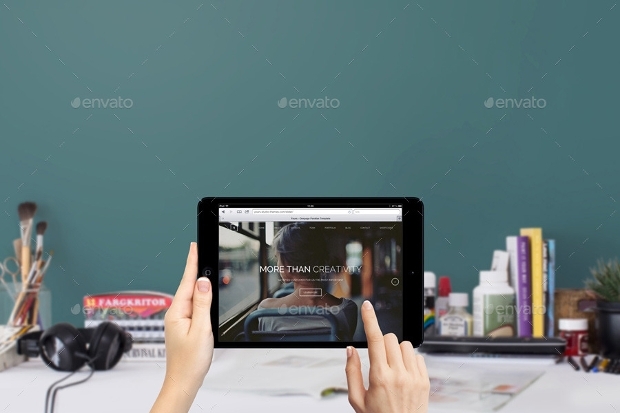 Then, this set of high-quality mockups featuring a Macbook and iPad mockup can be an excellent way of doing it. 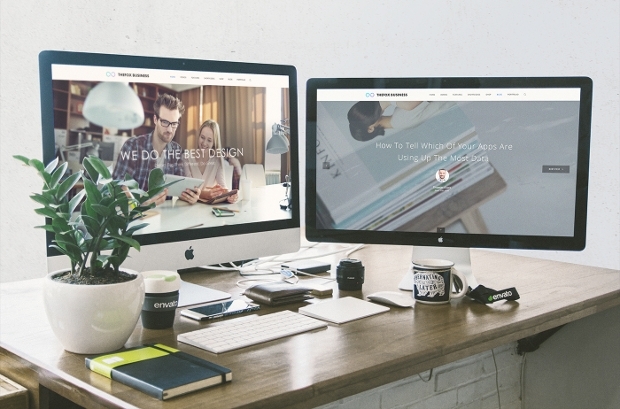 Available in gorgeous JPG and PSD formats, the mockups have amazing adaptability. 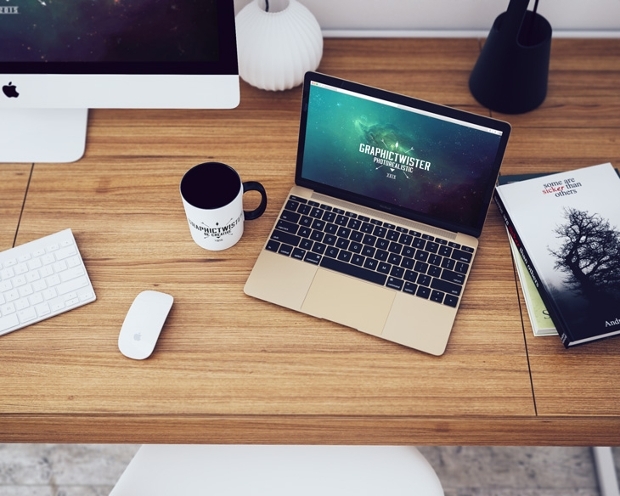 This photorealistic workspace mockup looks so elegant owing to its high resolution and beautiful setting. 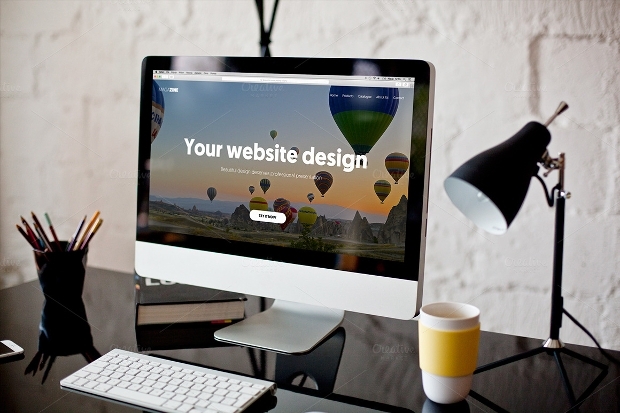 This mockup is ideal for your website, blog, showcasing your website template, theme, etc. Working with this layered PSD mockup is super easy thanks to its smart objects. This set of clean, highly gorgeous mockups can help display your website, app or responsive website in a professional and alluring manner. It will also look great if used as a full-page slider on your latest portfolio site. You can get this appealing mockup as a layered PSD file. 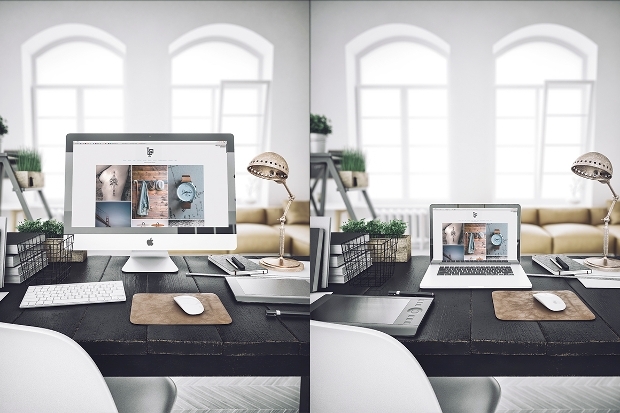 This mockup can give you an easier way of presenting workspace to your clients in the most creative manner. The high resolution and neat layout of this layered PSD workspace mockup give you the very reasons why you really need this mockup design. This set of high-resolution mockups appears astoundingly lovely. If you are a serious web developer or mobile app UI designer, then this mockup can be a powerful way of showcasing your work to clients and prospective clients in the most professional manner. 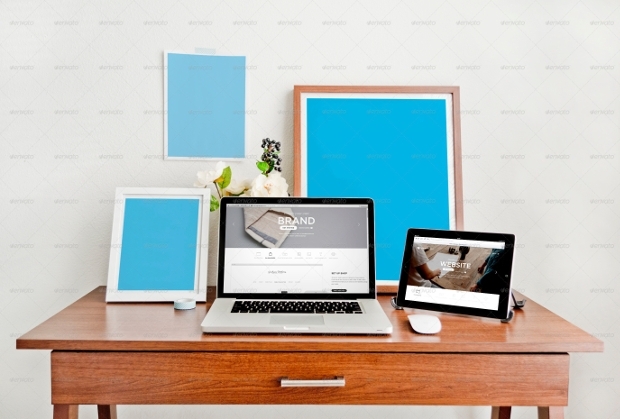 So elegant is the appearance of this workspace mockup that it is likely to allure your clients very much. This set featuring impressive photorealistic apple device mockup has all its main layers in smart objects to enable you to work with it easily. 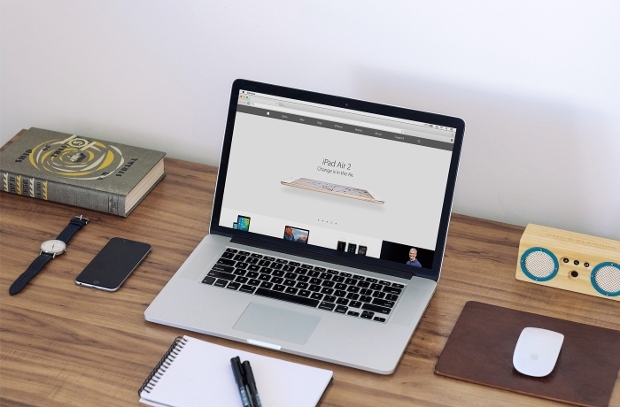 The photorealistic appeal of workspace mockups in this set is stunning. With such a gorgeous mockup, you have all that it takes to showcase your design works to clients in the most elegant manner. Showcasing your design work to clients is likely to be super easy and fast with this mockup template. Since all the major layers of this PSD file are in smart objects, working with them is easier. 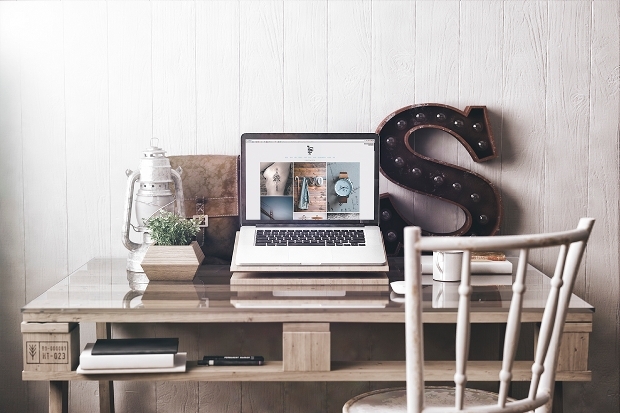 Hopefully, you have found this mockup collection really valuable. 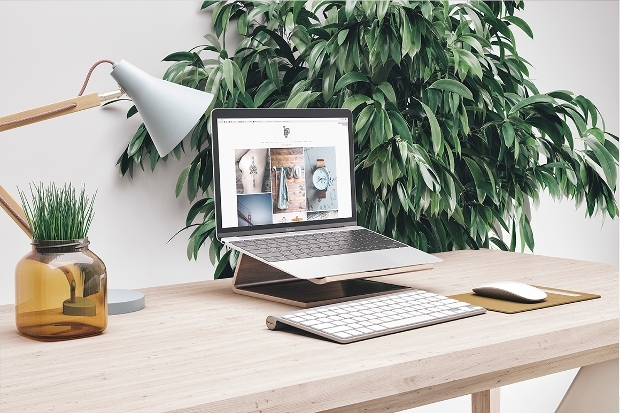 Featuring a variety of devices commonly used in the office workspace including a Macbook Mockup, this collection presents you with the most convenient way of giving your client an idea of what to anticipate for in the final production of the work.